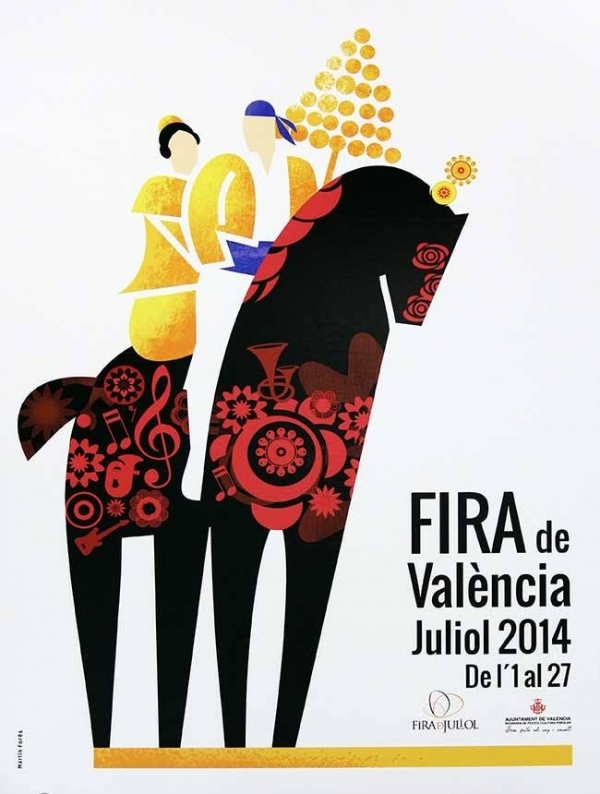 The Feria de Julio starts in Valencia from the 1st until the 27th of July. This important event was inaugurated the 21st of July of 1871. During this month, the Town hall decided to rekindle the city with this annual festival that enjoyed valencians and tourists too. In this festival there was an exhibition of all kinds of products and many concerts. outdoor concerts at Jardines de Viveros with national singers and at Palau de la Musica there are lots of representations that shifts in the weekends with International Certamen of Bands. At the Bullfight ring in Xativa takes place the Feria Taurina de San Jaime with the well-known Corridas. We cannot forget the valencian’s fireworks named “castillos” that you can see from the seafront or seated on the beach. 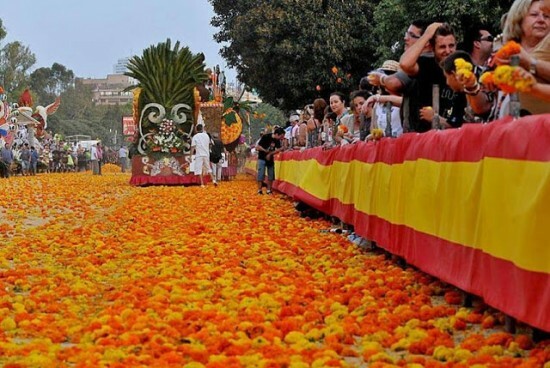 The July’s festival ends with the tradicional Flower Battle, that is an original parade and a fragrant fight between the spectators and the ladies seated on the carriage. At Alameda’s Avenue takes place the Battle and at the end becomes a multicolor flowers carpet. The festival is an opportunity for tourists and valencians to enjoy the city and its events during the summer too. This is a perfect moment to visit the city….better with Spanish classes at INTEREUROPA Spanish School! INTEREUROPA gives you the opportunity to study Spanish in Valencia with classes at all levels and excellent teachers. Furthermore will help you to discover the city with its activity program each hidden corner. So hurry up! Come in Turia’s City and enjoy its neightborhood and have fun with its picturesque places. Definitely you will love it.